In the Gospels, Jesus had hundreds of followers but he had 12 Disciples that he loved, coached and poured into, and three with whom he had an even closer relationship. Recently we asked Dave, or Soggy, as he is known to his friends, “Why is the IC coach or outside voice so important? As a church leader, I don’t have to tell you, Sunday is always coming. In addition to preparing one or more messages each week, you have an organization to run, ministries to oversee, challenges to navigate, and a staff to lead. It’s easy to get buried in the urgent and the week-to-week grind. An outside voice interrupts that grind, that week in, week out leadership experience. More importantly, it can be a welcomed interruption, one that helps you lift your eyes and see the view above the urgent, helping you make decisions from vision and accountability. As a leader, you have no shortage of voices from inside your organization, some louder than others. As an outside voice, how does the IC coach help a team? The outside voice changes everything for a church. Maybe you’ve been in a staff culture where ideas were zapped like flies. That type of culture will eventually lead to few ideas, no innovation and loss of momentum. The mantra becomes, “We’ve already tried that . . that won’t work here.” Or maybe your staff meetings are full of great ideas and everyone leaves excited, but no one leaves with a plan. An IC coach helps the team move forward, beyond ideas into the last 10% of truth. Getting to the last 10% of truth is tough. Listening skills and question-asking skills are critical for a coach. Rather than jumping quickly to what I know, ‘we did this, it was great you should try it too or I read this book, you should try it’, asking questions and being an ear to the team is key to understanding what’s going on relationally on the team and within the church. An IC coach will ask the right questions rather than prescribing what they know. When we first meet with a church team, we guide them through tools that help them self-discover where they are as a church and where they would like to be. With the outside voice of the IC coach, the team becomes increasingly free to speak their minds in a safe place. In some church cultures, this can be a challenge without a coach. As we guide the church team through their initial meetings, alignment and conviction take hold increasing trust among team members. With alignment and conviction comes a willingness to put the time in to get to the truth and develop a plan to move where they need to be. When I look back over the churches we’ve worked with and see all the celebrations, I doubt many of them would’ve happened without the outside voice of the IC Coach. Because the team is aligned and convicted around what’s most important, few people want to let down the rest of the team or disappoint the coach. When meetings are scheduled, they tend to happen. The team knows the coach will follow up and they’ll have to answer the questions, “What happened at the last meeting? What are you moving forward with?” The team is more accountable and takes responsibility with the outside voice involved. Maybe I’m coaching the staff, the elders, the lead pastor, but I always say I’m coaching the leadership team. Again, the disciples are a great example. I may work with the 12 but there are 2-3 team members I work more closely with, depending on the church. They drive the meetings and the agenda and I disciple and coach the entire team. Depending on the church, this involves regular visits, video calls, phone calls and emails, all of which drive accountability. The churches we work with embrace the Great Commission. They know there are lost people all over their community. But many times there are no systems in place to prioritize the lost. They have no plan and don’t know where to start. For me, moving the team toward a plan is the magic sauce. The coach’s job is to help draw the plan out of the team, to walk alongside them as they execute, and provide accountability. This requires a willingness to change. Change can be more difficult for churches that are established and have been doing things a certain way for years. Maybe they’ve done lots of good over the years and see no need for a change. Internally, they have long-time programs in place, they’re good at discipling, but they have no energy for the external. They’ve never turned their focus outside their walls into what we refer to as their Reach Zone. 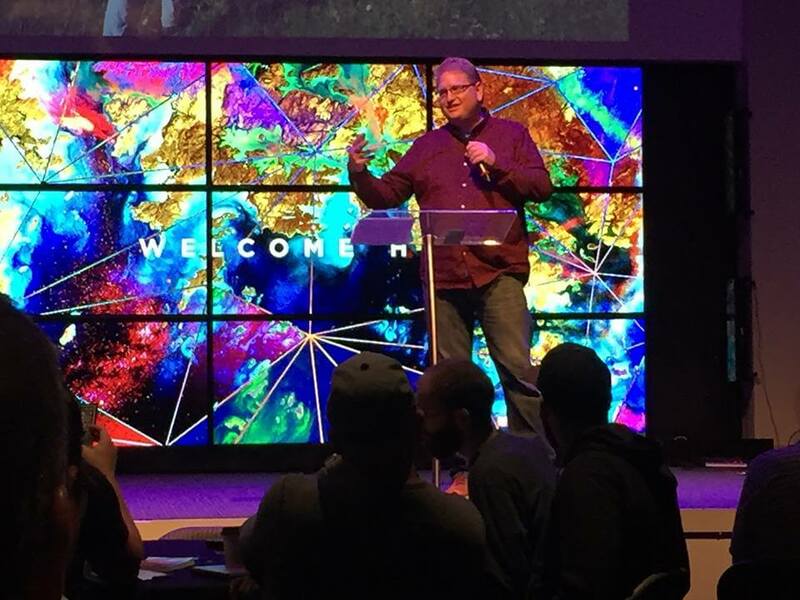 The IC Coach helps church teams open their eyes to the lost around them, design to prioritize the lost and increase the church’s influence in their community. Most people on a church staff feel they’re not doing enough no matter how hard they work, so it’s important for them to celebrate. A coach’s job is to not only move them toward a plan, but help a church celebrate the results! Every church team meeting begins with a celebration. What has God done since the last time we met? What’s happening in your church? Look what you’ve done! Through celebration, the team sees the fruit of their work, the system gains credibility, and like a flywheel, the process moves even faster the next time. As I work with churches through their challenges and successes, I love the relational piece of being a small part of what they’re experiencing. I long to see them reach their Kingdom potential. Jesus’ command to love must translate into my coaching relationships, into the people of the Kingdom and into my overall care for the Kingdom. Like a clanging gong, you can grow a church to a million but if you don’t have love, that’s all you are, a loud noise. You can’t do this without love. Jan has served in ministry for over 15 years in a variety of roles. With a degree in business, she enjoyed a career that God used to equip her for the church with a focus in administration, planning, and special projects that impact eternity. Jan lives in Florida with her husband, Anthony.